This creation was a lot of fun to put together! 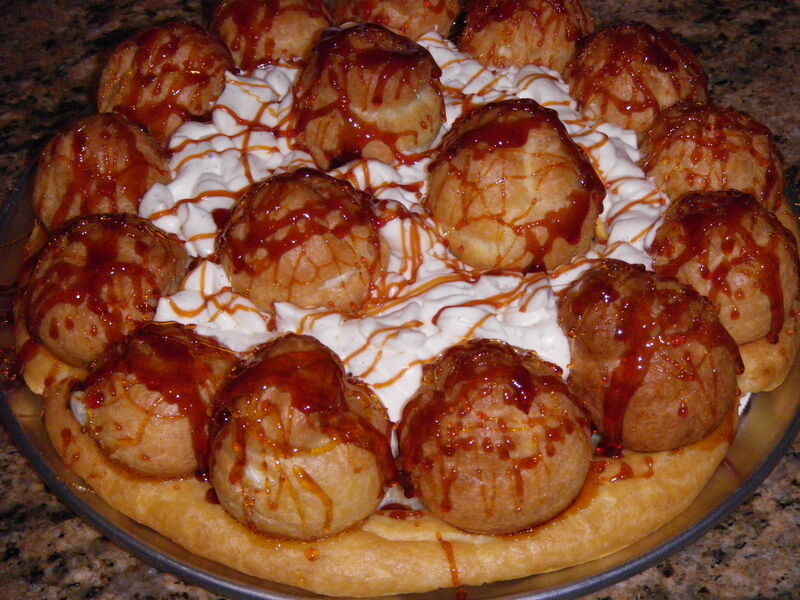 It is a little extra work because you have to make the pastry cream, the pastry dough, the Choux dough, whipped cream AND caramel. And you have to assemble it! But if you have the time and you want to impress some people, it turns out delicious and everyone thinks you are amazing! You could actually make the pastry cream and the pastry dough ahead of time and chill them until you are ready to start. 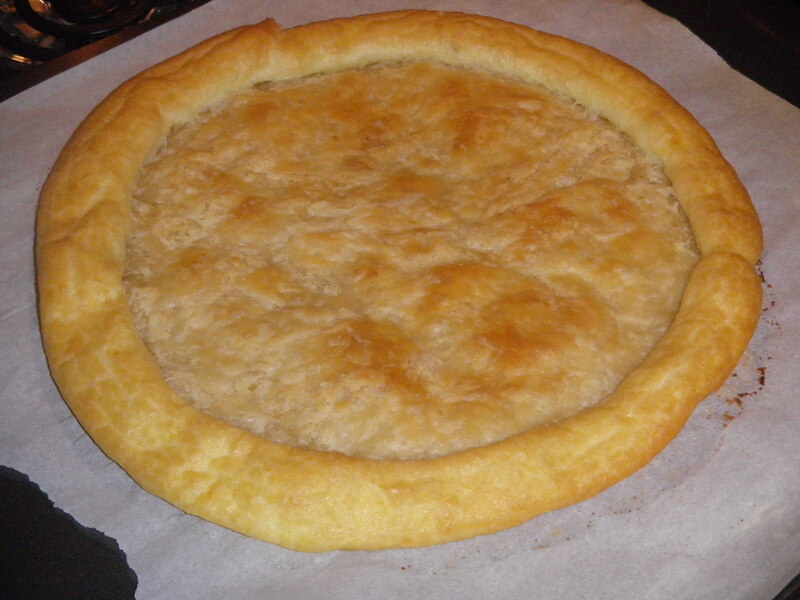 Just make sure you take out the pastry dough about a half hour before you start so it is workable. Otherwise, you probably need about 2.5-3 hours total from start to end (and then about an hour to chill before serving). And if you don’t feel like going crazy and making the whole thing, just make the cream puffs and fill them with pastry cream! Start by making the pastry cream and put it in the fridge to chill. Make the pastry dough. On a lightly floured surface, using a floured rolling pin, roll the dough into a 12-inch circle. 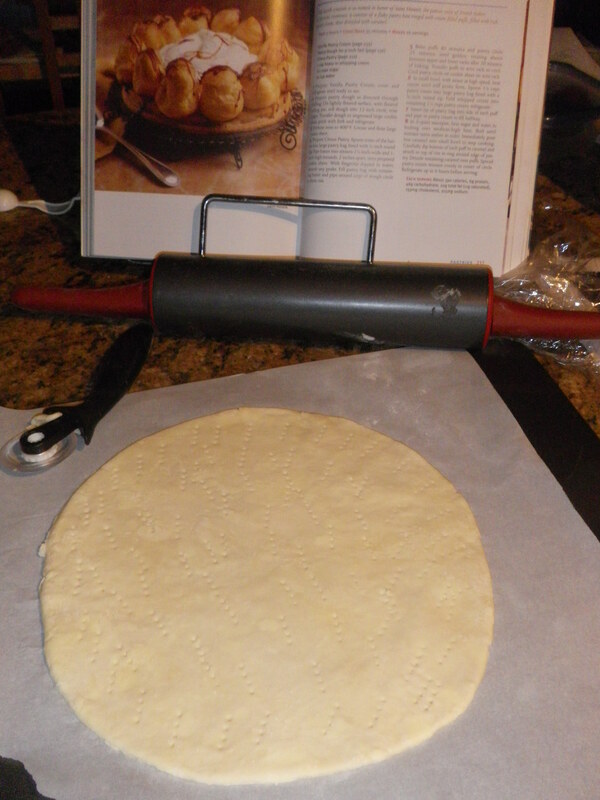 Trim the edges to make it circular and ‘clean edged’ and then transfer the dough to a parchment lined baking sheet. Prick the pastry all over with a fork and then place the whole thing in the fridge to chill. Make the Choux Pastry. Fill a pastry/piping bag (fitted with a 1/2 inch round tip – #1 in the Wilton line) with the batter. Pipe the batter around the edge of the pastry dough circle. 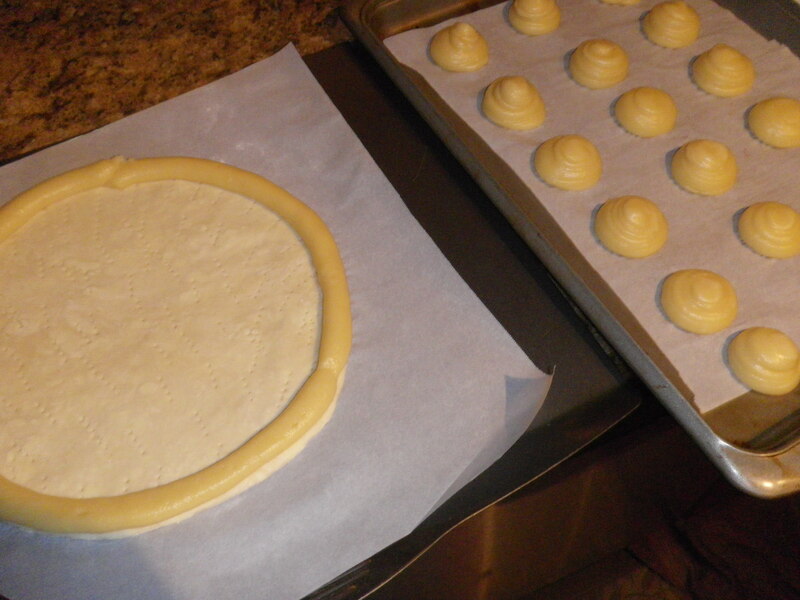 Then pipe about 16 “puff’s” or mounds (1 1/2 inch wide and 1 inch high) on the prepared baking sheet. Dip your fingertip into water and then smooth out any peaks in the puffs. Bake the pastry circle about 25 minutes and the puffs 35-40 minutes. Everything should end up a nice golden colour. If your oven has hot spots, rotate the two sheets between the upper and lower racks after 20 minutes. Transfer the puffs to wire rack to cool. Leave the pastry circle on the sheet to cool. Beat your whipped cream. Fold about half of the pastry cream into the whipped cream and refrigerate. Spoon the remaining half of the pastry cream into a large pastry bag with a 1/4 inch tip or a “filling” tip (#230 from Wilton). When the cream puffs are cool (this doesn’t actually take that long). Insert the tip into the side of each puff and fill with pastry cream. I tried to get as much as I could into each one! 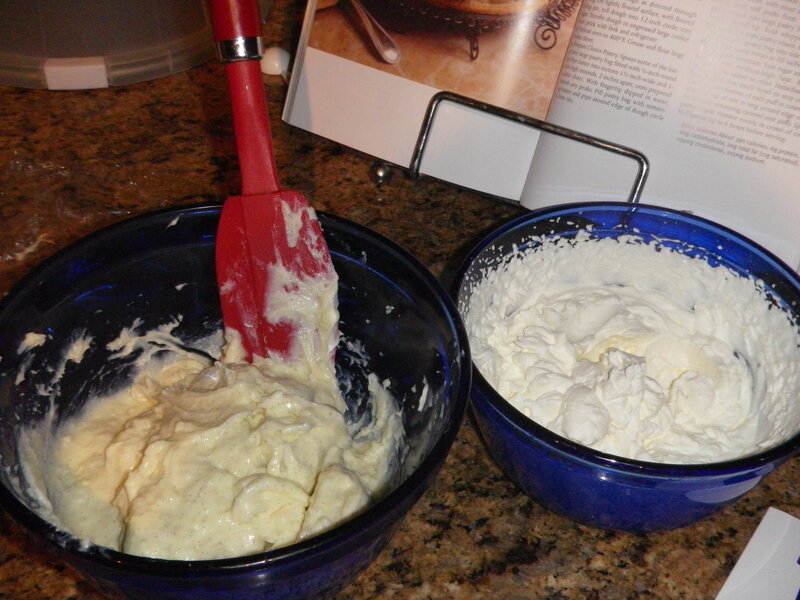 If you have some cream left over, just add it to the pastry cream/whipped cream mixture. Make the caramel – be prepared to work quickly once it is ready! 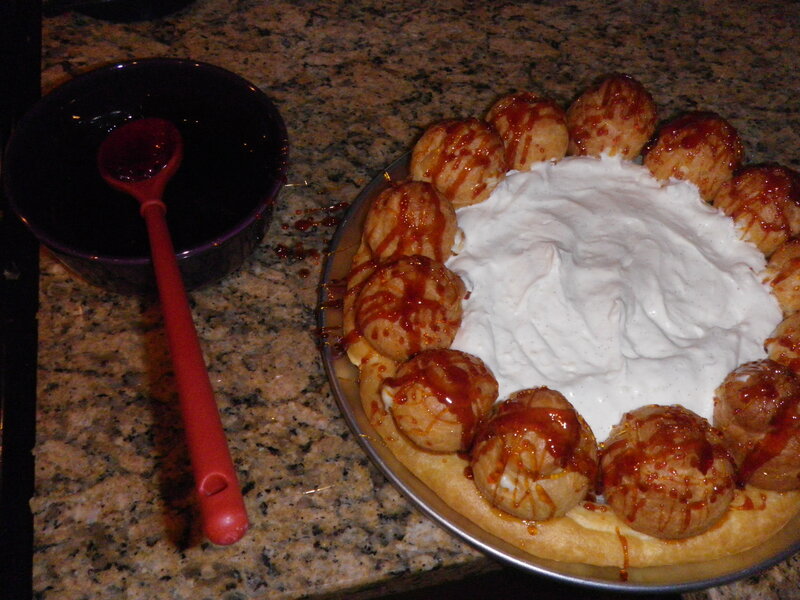 Dip the bottom of each puff into the caramel and attach to the ‘puff’ rim around the edge of the pastry. 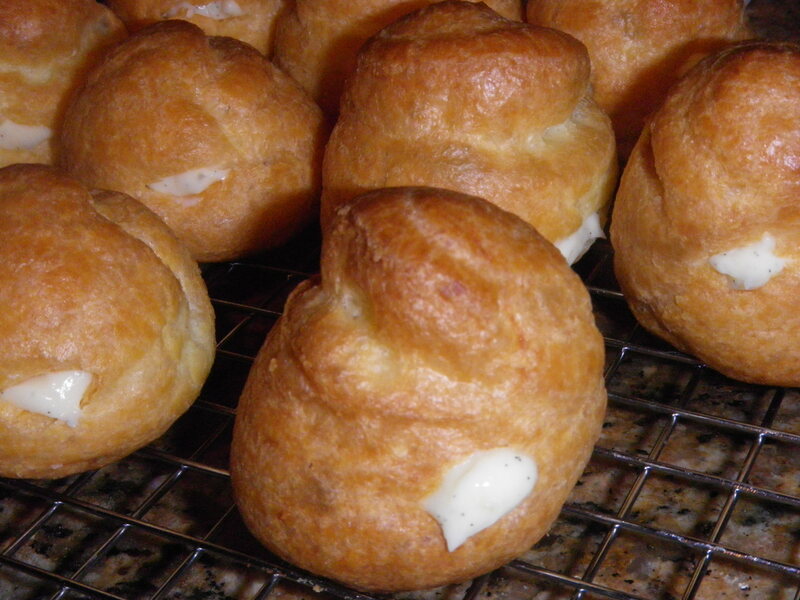 Place as close to the outside edge as possible and put the puffs as close together as you can. Drizzle more of the caramel over the top of the puffs. Spread the pastry cream/whipped cream mixture evenly in the centre of the circle. Drizzle a little more caramel over the top. Don’t be like me: DO NOT put any leftover cream puffs in the centre. It makes it SO awkward to cut. Just eat them and enjoy! Refrigerate minimum 1 hour before serving. I put mine in the fridge overnight but that wasn’t the best – the caramel lost its ‘crunch’ and just sort of melted into the pastry cream. You definitely can make it a day ahead, but just don’t put any caramel over the cream, and be prepared that it won’t be quite as good. It is better to make this in the afternoon for an evening event. Whipped cream and pastry cream – mix half of the pastry cream with the whipped cream. Filled cream puffs! They really are great just like that! 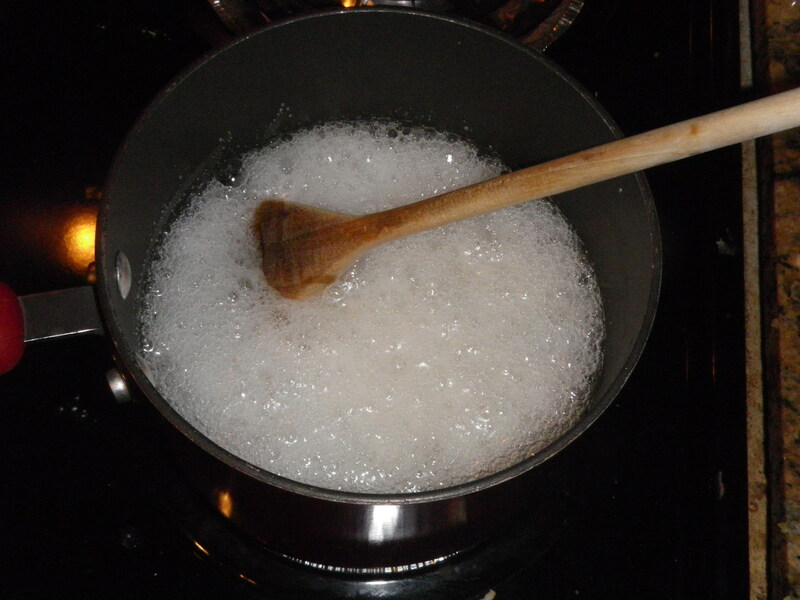 In a large saucepan, heat 2 cups of milk over medium heat until bubbles form around the edge. While it is heating, beat egg yolks, sugar and last 1/4 cup of milk together. Whisk in cornstarch and flour. When the milk is hot, slowly whisk it into the egg yolk mixture. Return to the saucepan and cook over medium heat, whisking constantly until the mixture has thickened and boils. Reduce heat to low and cook for 2 more minutes. Remove from heat and add vanilla. Pour into a shallow dish and press plastic wrap to the surface of the pastry cream to prevent skin from forming. Refrigerate. Whisk together flour and salt. Using a pastry blender, cut in butter until the mixture resembles coarse crumbs. Sprinkle ice water over (1 Tb at a time) and mix lightly with the blender or a fork. Just add enough water that the mixture holds together. 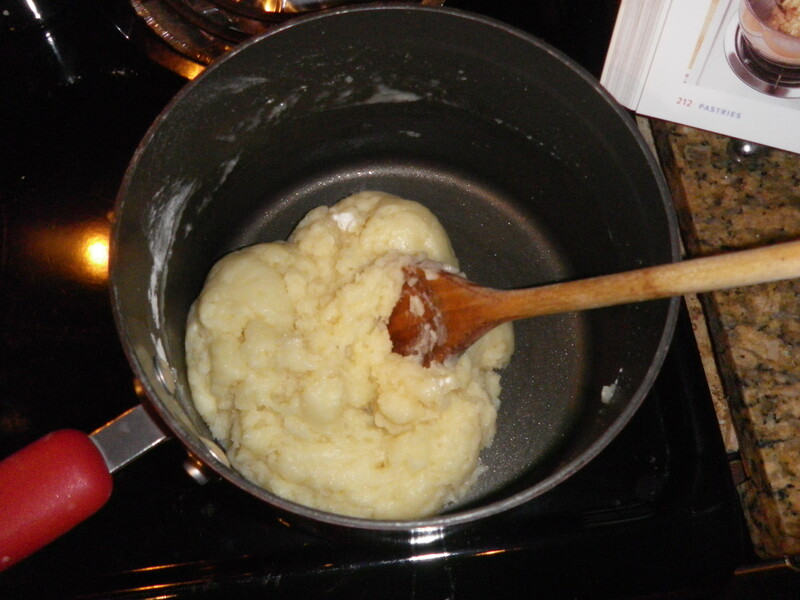 In a medium saucepan, heat the butter, water and salt over medium heat until the butter has melted and the mixture boils. Remove from heat. Add the flour all at once and with a wooden spoon, vigorously stir until the mixture leaves the side of the pan and forms a nice ball. This is pre-egg Choux Pastry. It should form a nice ball. Add the eggs, one at a time, and beat well after each one until smooth and satiny. The finished Choux Pastry – smooth & satiny! 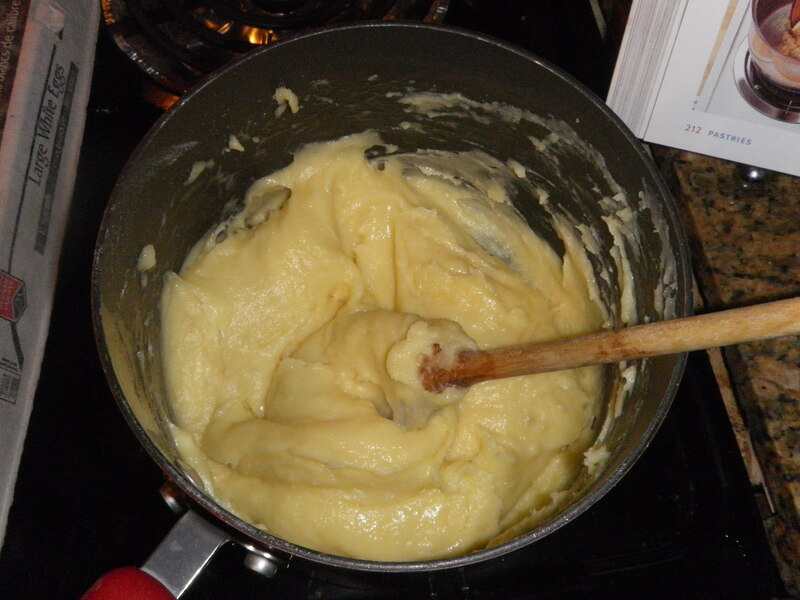 In a mixer or using a hand beater, beat on high until stiff peaks form. In a small saucepan, heat sugar and water to boiling over medium-high heat. Boil until the mixture turns amber in colour then IMMEDIATELY pour the hot caramel into a small bowl to stop it from cooking. This is how it looks if you put caramel over the top and then leave it until the next day – not really pretty. Eat it fresh or do NOT put caramel over the cream. 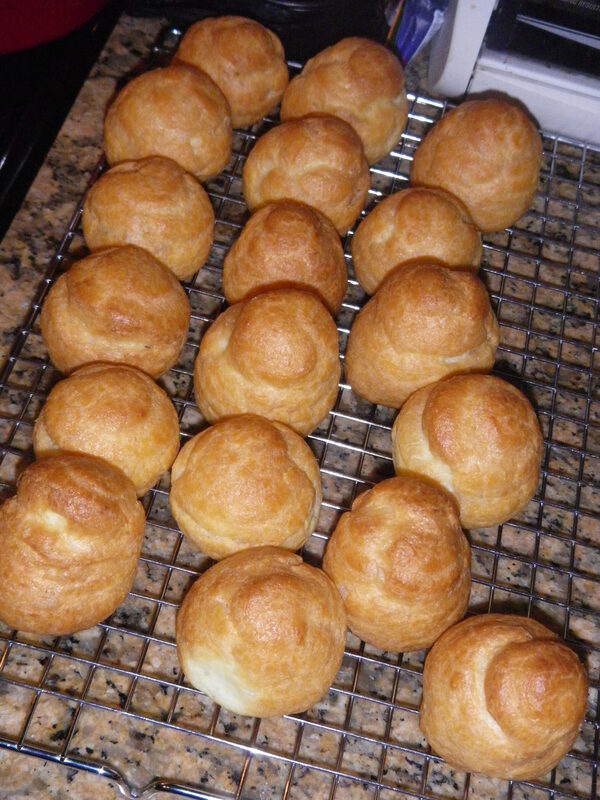 Also, do not put cream puffs in the middle if you have extra (so awkward to cut) – just eat them separately! Macarons – two recipes, one flopped, one passed!